Illinois’ population loss could be a warning for larger changes to come. Between July 2017 and July 2018, Illinois lost more than 45,000 people, according to U.S. Census Bureau estimates. It’s still the sixth-most populated state, but is one of only a handful of states that lost people over that time period. That means Illinois will likely lose federal funding after the 2020 Census, and the state could lose one or even two Congressional representatives from its current 18 — after losing six other representatives since 1980. Kimball Brace, president of political consulting firm Election Data Services, said Illinois is close to losing that second seat and “in fact, the last seat you gained is seat number 432. That’s only three seats away from the magic cutoff of 435,” the maximum number of House seats. If other states gain considerable population, that could nudge one of Illinois’ seats out of Congress. U.S. Representative John Shimkus is a Republican who represents Illinois’ 15th District, the largest in the southern part of the state. His district has grown and shape-shifted as representative seats were phased out, and he is concerned about state redistricting after another change. That’s because the Democratically-held state legislature will steer how the new maps are drawn and won’t likely be vetoed by the Democratic governor. “Immediately what most members look at is gerrymandering and how are they going to now take 18 Congressional seats and turn them into 17 or 16,” he said. Still, Shimkus said if fewer federal dollars come into his district, it’s nothing new. “We historically don’t expect much from the federal government, we historically don’t get much from the federal government, and we have this self-made independence that’s ok with that,” he said. One census count to watch in both the southern and northern parts of the state is immigrant communities. A federal judge ruled this month that a question asking about citizenship wouldn’t be allowed on the census, though that decision could be appealed. Opponents of the question argued that we need a more complete picture of who is living in the U.S., and that such a question would dissuade some immigrants from participating. Shimkus is supportive of the question, saying it could give a more “true representation” of regional populations and how many people can vote, but added that it could lead to lower population numbers and lower representation for Illinois. Illinois could increase its population numbers by making sure every resident is counted. Forefront is a statewide group aimed at providing resources for its members like nonprofits, public groups and grant writers — and for those helping out with the count for the 2020 census. Anita Banerji, director of Forefront’s Democracy Initiative and census outreach, said that Illinois’ state budget is already stretched thin and it needs help to make sure social service programs are funded. “We can’t afford to lose out on federal funding as well as our federal representation,” she said. “And so at this point in time, we’re really focusing on helping local committees get their local count committees off the ground,” and spreading information about hard-to-count communities. 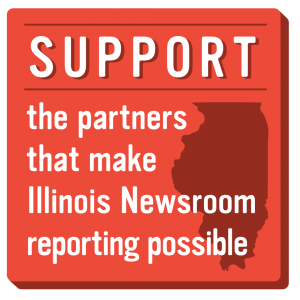 Forefront is trying to make sure everyone is counted through a nonprofit coalition and a collaborative that funds on-the-ground work (both called Illinois Count Me In 2020), and through the Illinois Complete Count Commission. In 2017, the state set up that commission to encourage census participation, particularly among historically undercounted groups like veterans, people of color, college students, homeless people and farm families in rural areas. Jeanine Stroger, the Secretary of State-appointed chair of the commission, says the group is already starting to work with other public agencies to make sure these communities see the benefit of the census. 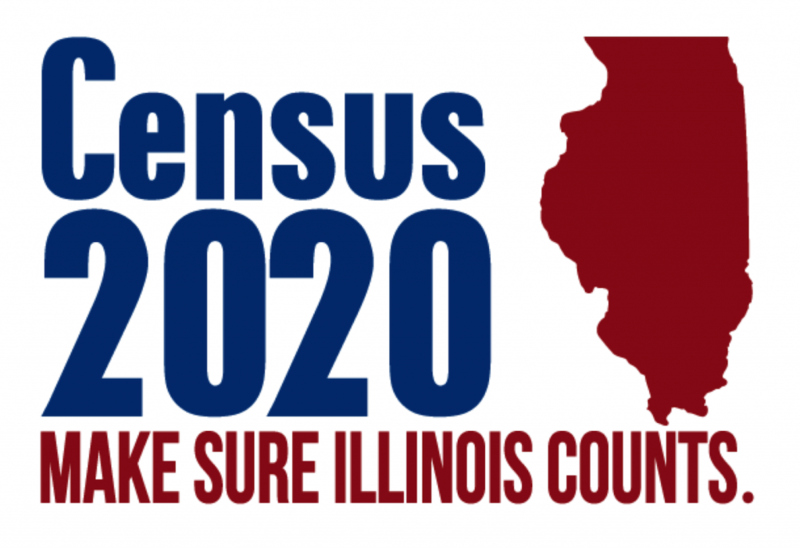 Through them, Illinois citizens might start hearing from neighbors about the census and seeing information about it around town and even on slot machines. “The [Illinois] Department of Lottery: we will be using their ways to get messaging out through lottery machines and tickets,” she said as an example, adding that they’re also working with groups like Veterans Affairs and the hundreds of state academic, public and school libraries. For Stroger, she wants people to understand what’s at stake and spread the news — especially when federal funding, electoral college votes and congressional representation are on the line.